We all work very hard to spread the news about our listings, and we know well that our clients expect more and more from us. It is a well known fact that more than 70% of the buyers and sellers use the Internet to do their research and their searches prior to buying a home. This site surprises my visitors with quality and quantity of information provided. But most of them want even more. The searches coming in through major engines like Google, Yahoo and MSN tell me exactly what your and mine Clients really want. They want to be able to find current information on the Open Houses that take place each week in the Barrie and Area. Time and time again I get "Open House Barrie", "Barrie Open House", "Featured Open Houses in Barrie" in those searches. If you do your own research, you will find that there is not much information available... at least not much current information. Here is your chance to impress your Clients... you can feature your Open Houses on one site that is always showing up in those searches. Advertise your open houses on Selling-Barrie-Homes.com, so they can easily be found online. Newspaper advertising is still very useful, but now our Clients want more. This is your chance to give them just that! The full page Open House Advertising just like this one is FREE, providing that all correct information, images in "jpg" and anything else that your need featured, as well as a written permission from your Broker of Record* is submitted to me by Thursday, prior the Weekend Open House. It is the listing agent's responsibility to ensure that all submitted information is correct and up-to-date prior to submission, as there will be no corrections, once the information is posted. * Since all the listings are the property of your Brokerage and not your own (do not belong to the Listing Agent) it is absolutely necessary that the acknowledgment and the consent of your Broker of Record is submitted to our office together with the Open House information that you want to feature. Do you have an Open House in Barrie and Area? 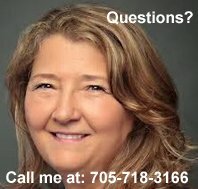 Do you have an Open House in Barrie and Area that you would like to feature on www.Selling-Barrie-Homes.com? Open House in Barrie and Area? Write the description of the house that you are presenting, as you would like to have it featured on the www.Selling-Barrie-Homes.com. Be sure to tell our visitors, (your potential buyers) about all the great features that this house has. Don't forget to mention any great characteristics of the area where the house is located. Be sure to include pictures that show the best parts of the house that you are presenting. All images must be in jpg. format. Click the button and find it on your computer. Then select it. Return to top of Open House Advertising.